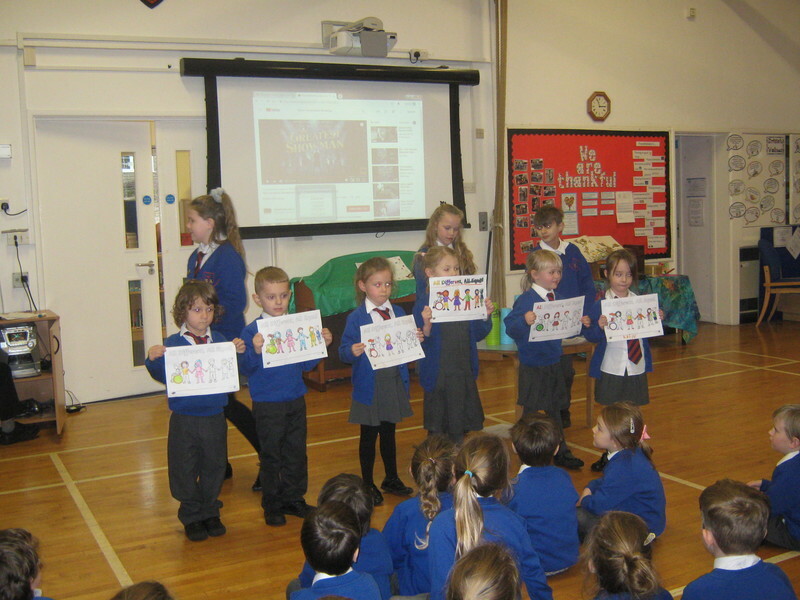 Our anti-bullying week kicked off with an assembly led by Miss Grunnill talking about 'respect'. 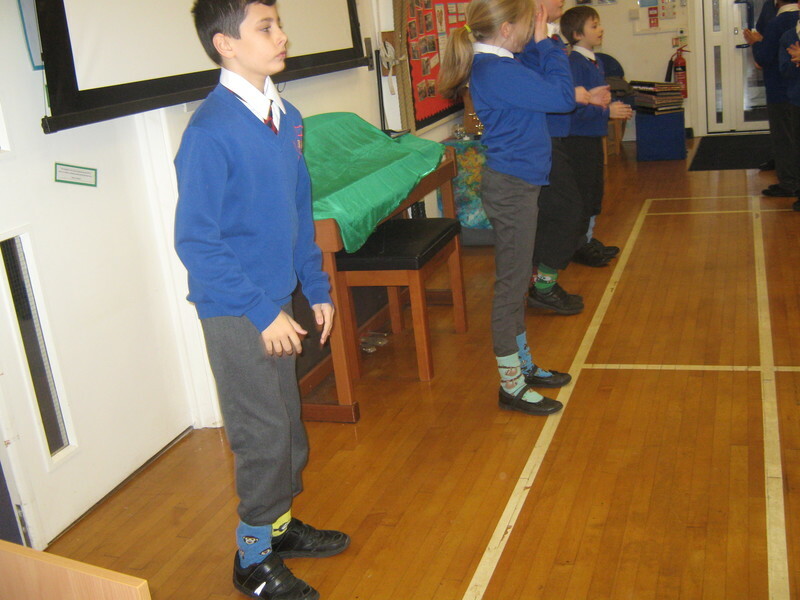 The children explored how we could show others respect and how it felt when we don't show other people respect. 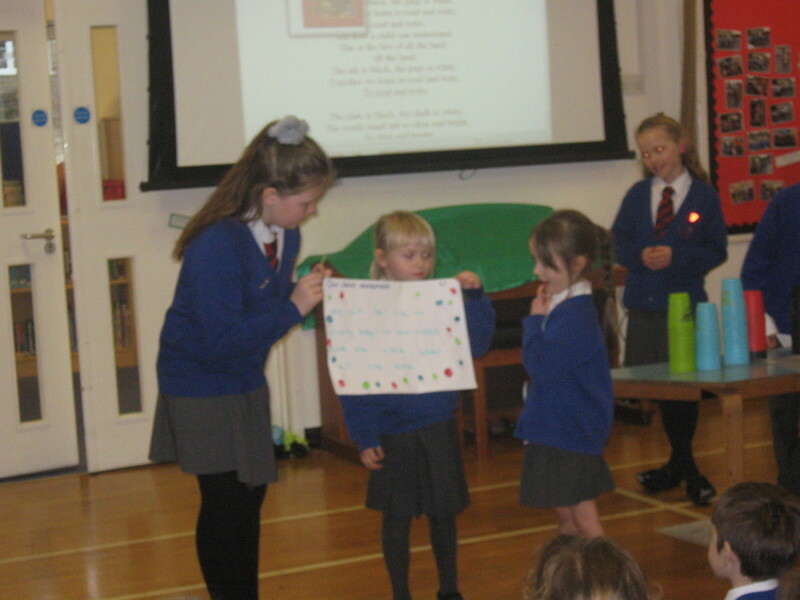 We explored how it felt when people spoke to us in an unkind or unthoughtful manner and how it felt when we were spoken to in a positive or encouraging way. 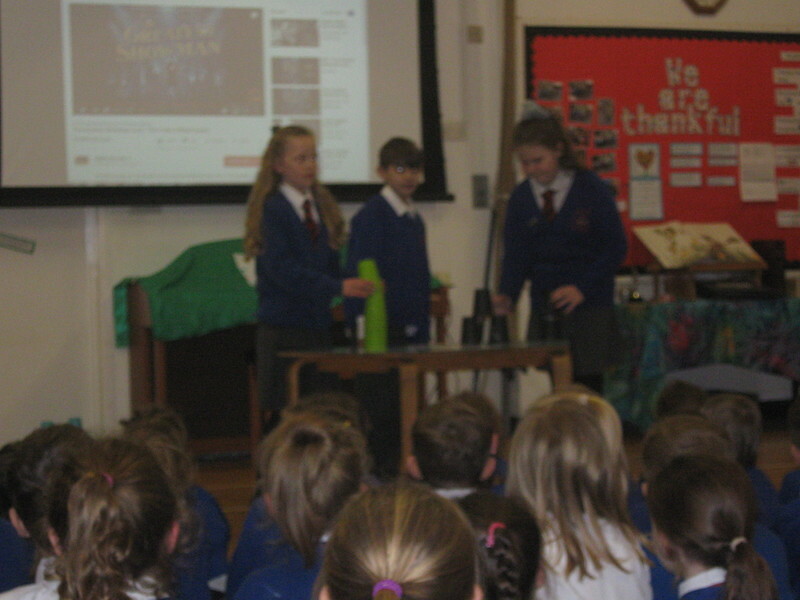 We all agreed that we had the power to make others feel great or make them feel small. 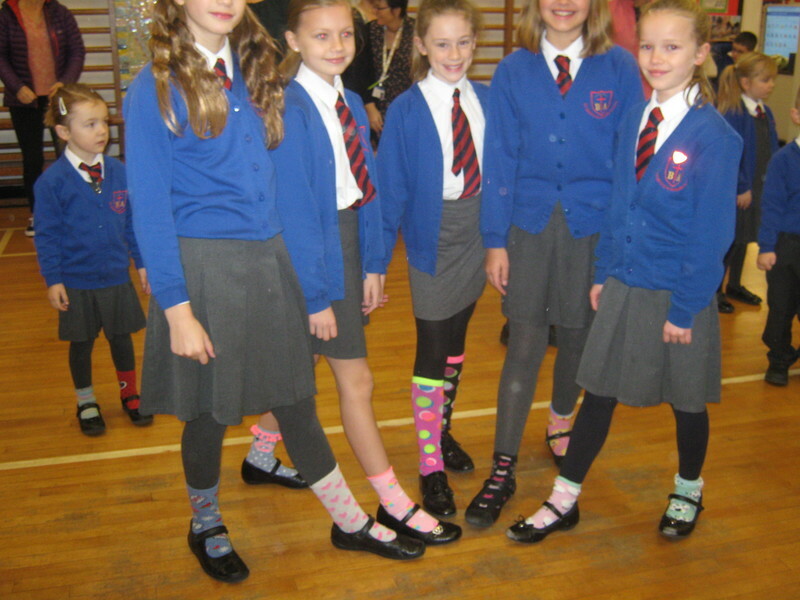 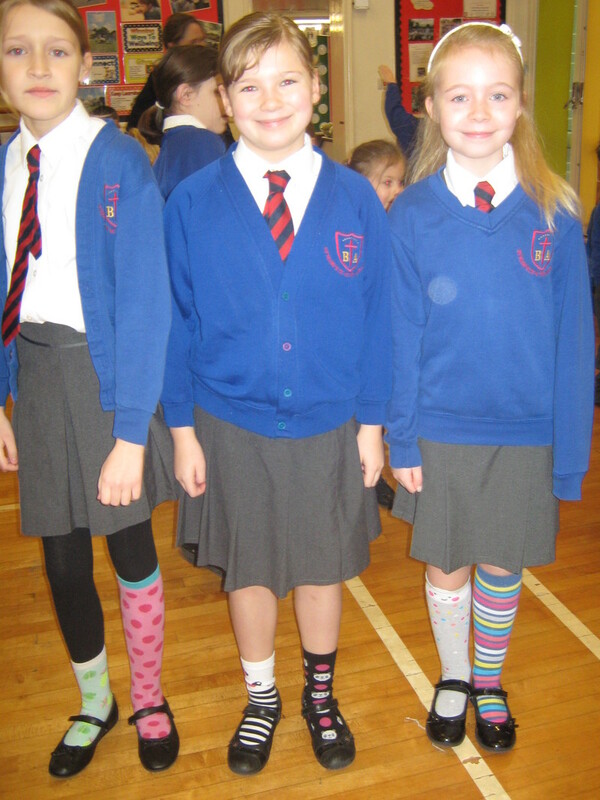 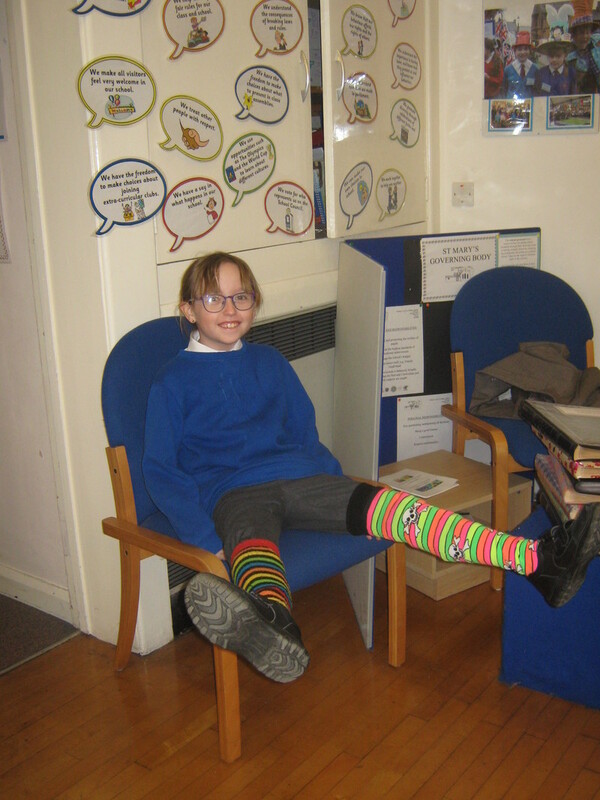 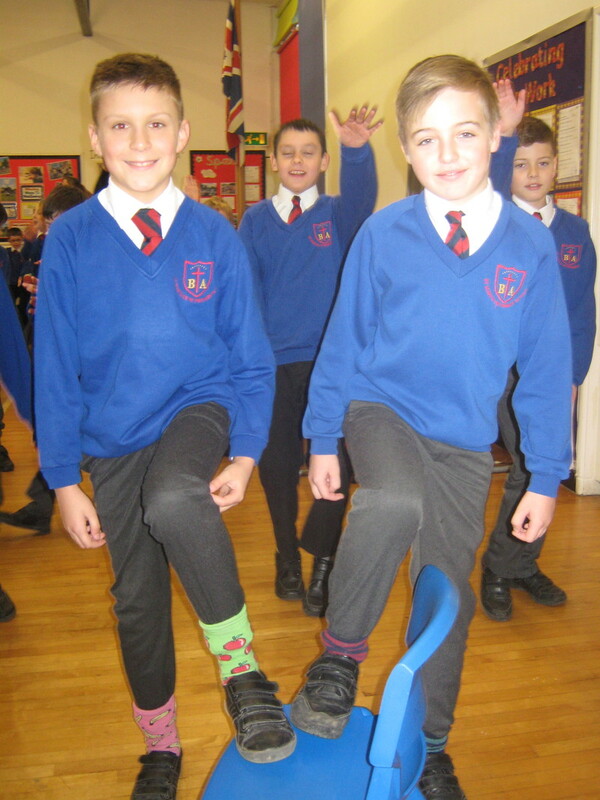 Many of the chidlren had chosen to wear brightly coloured odd socks to show that we are all the same but different. 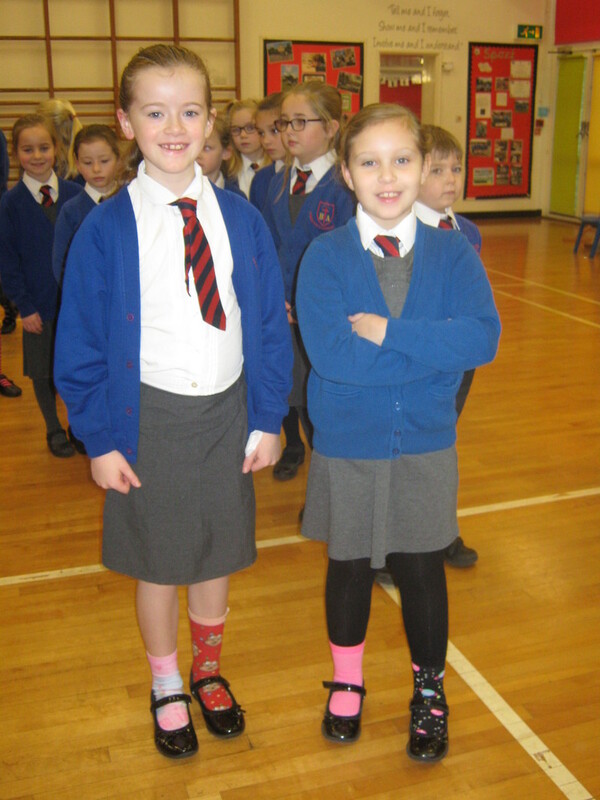 We reinforced how important it is to celebrate ourselves and all that is special about us. 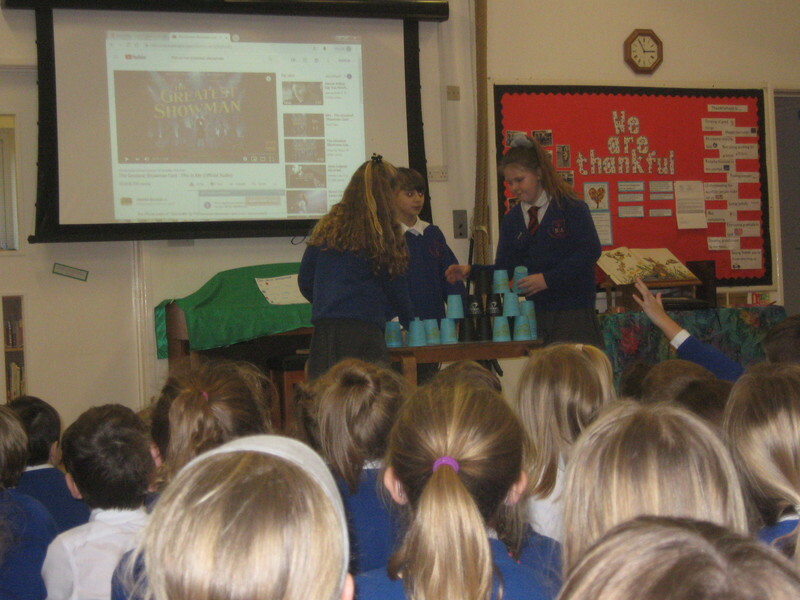 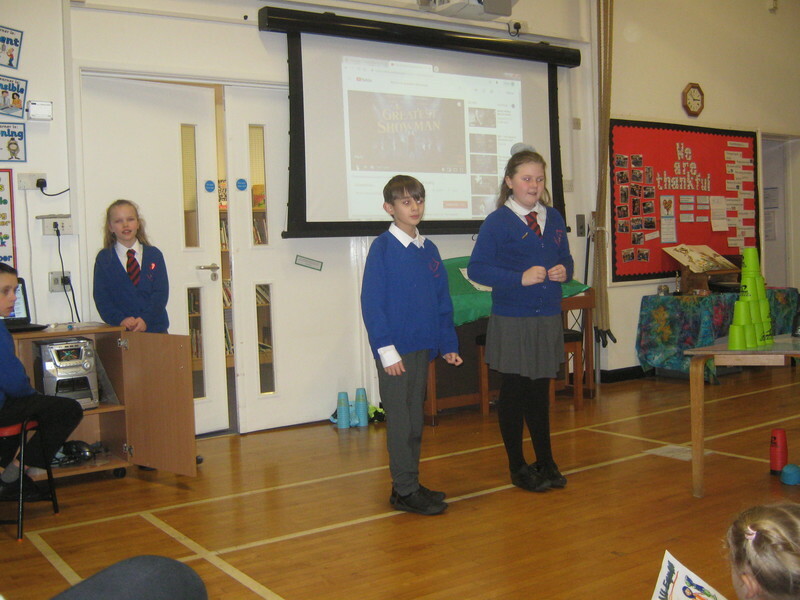 Year 6 planned and led workshops with the rest of the school; they presented drama, games and stories to encourage the children to think about feelings and reactions. 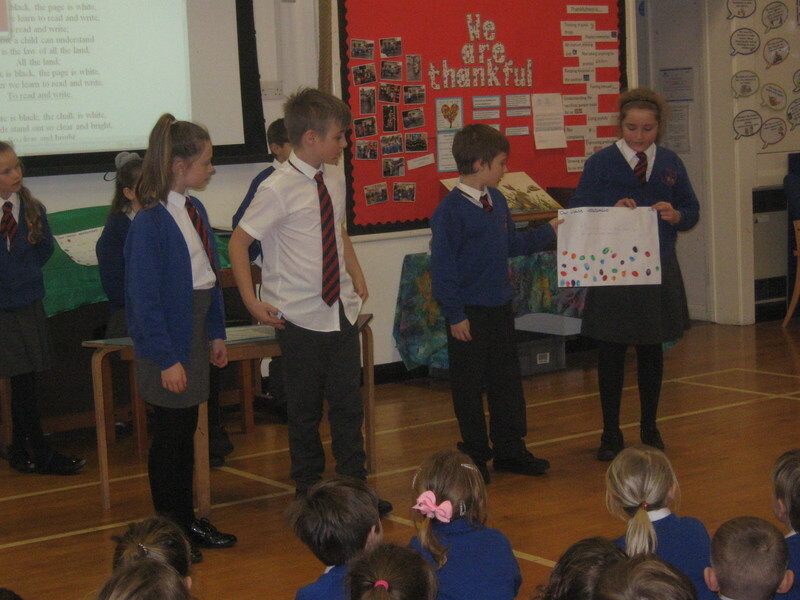 Each class created a positive statement about tackling bullying which they presented in an assembly led by four members of year 6.